>THE WEDDING AFFAIR is Leigh Michaels’ new release as well as the first of her historical romances that I’ve read. I received the book from Soucebooks for review and so thrilled I did–as I’ve found another fantastic historical romance writer to follow! The Duke of Somervale’s sister is getting married in the wedding of year — but the wedding guests are in the mood for affairs, not vows! The Duke needs the help of beautiful, stubborn Olivia Reyne to fight off the debutantes who have taken over his country estate. Olivia’s willing to help — at a price which will secure the future for her small daughter. Penny Townsend sees the wedding as her last chance to salvage her arranged marriage and turn it into something more than a matter of convenience. And vicar’s daughter Kate Blakely needs a job — and fast — before she gives in to the tempting presence of her first love! MY REVIEW: This novel was such a treat to read. One of the elements I loved most was its three storylines. Yes — three. Three heroes, three heroines, three stories. Each woven into the same setting, timeframe and plot so that they weave efforlessly together. I felt as if I was watching a movie rather than reading a book. Leigh’s ability to juggle three romances so fluidly turns me a tad green, as I find adding a secondary romance challanging while all three of her romances stand alone and carry equal uniqueness and weight without overshadowing the others. The technique made the the novel fly by because there are of course three times the troubles, three times the conflicts, three times the risk and of course three times the romance *blush*. (Tip: When you read this, make sure you’ve got a Big Gulp of ice water nearby.) Just as one couple reaches a conflict pinacle, Leigh switches to another couple, another situation, equally as troublesome, equally as intriguing, and all the time in the back of my mind I’m wondering…but what about the others? What’s going to happen with them? The result was an eveloping page-turning read where I found myself both enthralled with the characters I was reading about, yet dying to know what happened with the others. I enjoyed Leigh’s humor, unique with each character or set of characters true to their relationships and situations, as well as her effortless and rich character development. THE WEDDING AFFAIR was a fun, intruiging, fast read and I’ll be watching for Leigh’s future books! In The Wedding Affair, the Duke of Somervale’s sister is getting married, but the guests who have gathered for a house party leading up to the wedding are much more interested in their private affairs – and I do mean affairs! – than in the bride and groom. Like my previous two historicals, Just One Season in London and The Mistress’ House, this is a triple story – three heroes, three heroines, and three romances which are woven together into one book. I love writing triple stories because there’s so much action that even I never quite know what’s going to happen next. Tell us something unusual about this book (i.e. in its creation, execution, production). The archery scene which appears in the last fourth of the story was at the beginning of chapter two in the first draft. That’s what’s called a heavy revision. I’m sure I do, but I’m still looking for them. Introvert pretending to be an extrovert. Ever Hit A Jackpot On A Slot Machine? No, but I have hit the jackpot in a couple of other areas, like (1) selling my first book despite the worst synopsis and sample chapters in the history of the world, and (2) being asked to flat-sit one summer in London, about a mile from Buckingham Palace. Only if I’m looking down! How many pillows do you like to sleep with? Just one. The other two are to prop me up so I can read in bed. Do you believe in snipes? Which do you like more—rainy days or snowy days? Snowy, because I can sit in the bay window in my living room and feel as though I’m in a silent snow globe. Also, because of my childhood in an isolated rural area, snow days are always kick-back-and-read days – even though, with my office in my house, I really have no excuse not to work no matter what the weather. 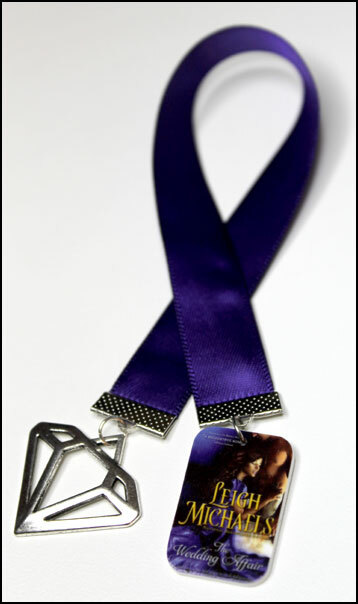 My website is www.leighmichaels.com, on Facebook look for Leigh Michaels, and on twitter I’m @leighmichaels. 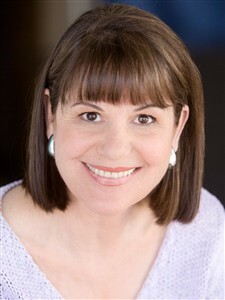 BIO: Leigh Michaels is the author of nearly 100 books, including 80 contemporary novels, three historical romance novels, and more than a dozen non-fiction books. More than 35 million copies of her romance novels have been published. Six of her books have been finalists for Best Traditional Romance novel in the RITA contest sponsored by Romance Writers of America and she has received two Reviewer’s Choice awards from Romantic Times. Leigh is the author of non-fiction books such as WRITING THE ROMANCE NOVEL, a step-by-step workbook, and CREATING ROMANTIC CHARACTERS and she teaches romance writing on the Internet at Gotham Writers–Workshop, www.writingclasses.com. 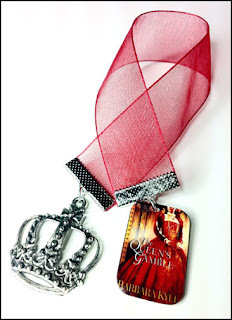 Happy Birthday Georgette Heyer + Giveaway! I received a copy of Georgette Heyer’s COTILLION from Soucebooks for review and decided to post it on Georgette’s would-be 109th birthday. While I couldn’t dream of writing a historical romance (at least not at this point in my career), I do love reading them. I love all the royalty, the dress, the language. I find the stiff rules a great source of conflict and enjoy the contrast it creates with personalities. So, I expected to love Georgette’s work. This was a very different type of historical than what I was used to. At first I found the language so complex, I labored over the paragraphs, flipping words and sentences around in my mind to grasp their meaning before moving on. But it didn’t take but a chapter or two before I fell into the rhythm, and once I did, I could thoroughly appreciate so much of Georgette’s beautiful craft. And instead of finding the prose restrictive, I was able to recognize what depth it added to the story. It reminded me a lot of when my daughter was assigned The Scarlet Letter in high school. Mildly dyslexic, she already struggled with reading, though still loved the activity. But The Scarlet Letter and all its intricate sentence structure and language uses drove her to tears…literally. To get her through the book, I resorted to reading it aloud to her, stopping every few paragraphs to explain what they were saying. Again, the prose daunted me at first, but soon my daughter and I looked forward to reading the next installment together and even enjoyed discussing the events. Georgette Heyer’s humor is both subtle and smart and so very unexpected. Her character development is masterful, her weaving romance threads intricate and her plot threads complex. If you read regency romance, you’ll love this book. 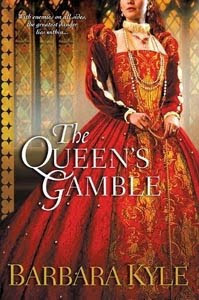 If you are an avid historical romance reader of more “modern” historicals, it won’t take you long to slip into the style of Georgette’s writing. And if you’re an occasional historical fan, the richness of Georgette’s talented storytelling is worth the initial effort. 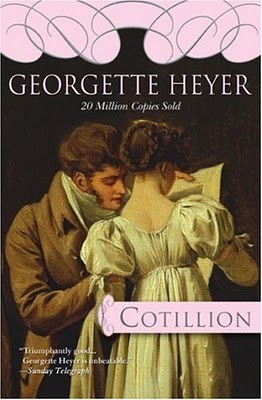 a trade copy of COTILLION. >Happy Birthday Georgette Heyer + Giveaway! >My Twitter buddy, Ellen Meister, posted on Girlfriends Book Club today about posting negative book reviews. It’s a great, thought-provoking post…and something that’s been on my mind as I deleted my Goodreads account just days ago. In my own recent post Writing for the Impatient Reader, I describe how I have turned into the very type of reader I’ve always loathed–the one that had to be immediately entertained and constantly stimulated at every turn. And while I believe that can be a good thing when it comes to my writing, as I try to keep the story quipping along at a pace I’d be happy with as a reader, I also think it disqualifies me from being an objective reviewer. At least as a reader. As a writer, I’ve been toying with the idea of reviewing novels from a writer’s perspective, noting the strengths in an author’s work. A future endeavor possibly…but as a reader, I’ve decided to stay out of the “starring” arena. What about you? Do you review?